Exclusive development, and built 10 years ago to the highest standards, this is one of only 6 huge units located next to the famed boutique Windermere House Hotel. The cottage faces a sandy beach and has a magnificent view of Lake Rosseau. The hotel, opens the third week in May, offering a popular pub and a fine dining room when you don't feel like cooking or BBQing in your luxurious cottage! The home is fully furnished and equipped, state of the art kitchen with 6 gas burners. Stone faced gas fireplaces. Huge dining table, fully screened-in Muskoka room, enormous balconies. Parking for 2 cars directly outside door. A weekly maid service ensures the house is spotless when you arrive. 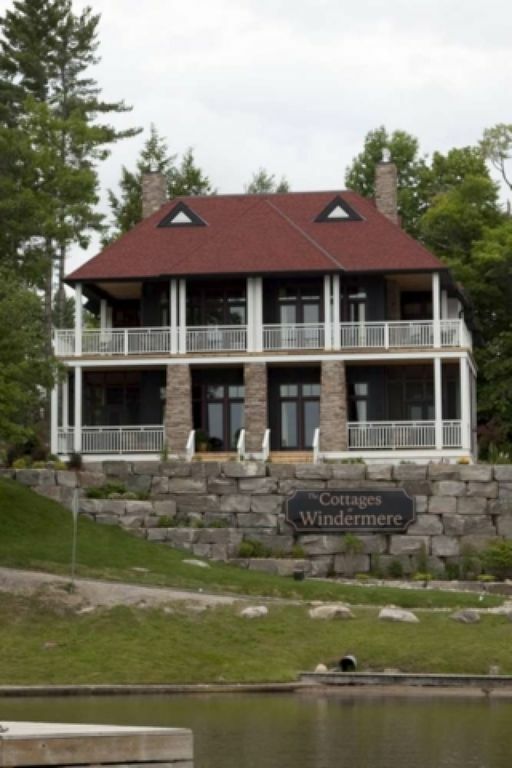 Windermere is appx a two and a half hours drive north of Toronto. Please, ABSOLUTELY NO PETS OR SMOKING! Thank YOu.